From Narita Airport, you can take the Narita Express and travel to Tokyo in about an hour. 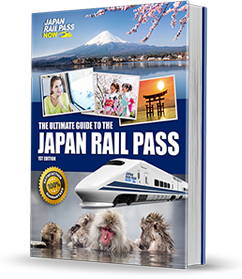 You can get a seat reservation on the next train after you have exchanged your Japan Rail Pass voucher for the actual Japan Rail Pass at a JR Ticket Office at the airport. Disneyland – Modelled on Disneyland in California, it is composed of seven sections that feature attractions and rides based on popular Disney films such as Toy Story, Cinderella, Frozen and Pirates of the Caribbean, and characters including Mickey Mouse, Donald Duck and Snow White. DisneySea – This park is the only one of its kind in the world. It has seven different sea-themed sections that feature popular Disney movies and characters, including The Little Mermaid, Aladdin, and Indiana JonesThe parks are a few minutes’ walk from JR Maihama Station along the JR Keiyo Line. Tokyo at night is incredible, with all its billboards and skyscrapers illuminated, and a night cruise on Tokyo Bay is one of the best ways to appreciate it. 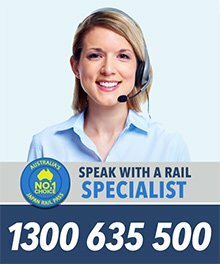 With a range of night cruise services available, you will easily find one that fits your budget and preferences. There are cruises that include luxury dining options (Italian, French or other Western full course dinner menu) and cost between 8,000 yen and 25,000 yen. There are also those that offer a traditional Japanese experience on a Japanese-style boat with tatami floors, and serve a wide selection of authentic Japanese dishes. For picturesque views of Mount Fuji, relaxing and therapeutic hot springs and amazing natural scenery, head to Hakone. From Tokyo Station, take a 35-minute Shinkansen to Odawara Station. Then, purchase a Hakone Free Pass (4,000 yen) for unlimited rides on cablecars, buses, ropeways, trains and boats in selected areas of Hakone. 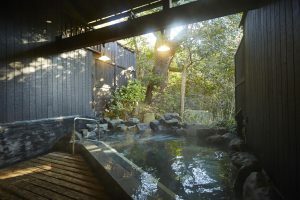 To fully enjoy your stay in Hakone, book a couple of nights at the Hakone Ginyu (http://www.hakoneginyu.co.jp/index.html), a luxury hotel that offers Japanese and Western style rooms with private onsen (a room for two people costs between 30,000 yen and 50,000 yen) and high-end facilities, such as a bar, lounge and spa. There are many things to do in Hakone. For museum enthusiasts, there is the Open Air Museum, which features large sculptures and installations scattered outdoors on the well-manicured lawns and paintings of world-renowned artists such as Picasso. For those who enjoy exploring nature, the area around Lake Ashinoko has several walking trails surrounded by different kinds of plants and trees, with stunning views of the lake and Mount Fuji. 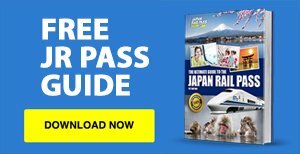 The Hakone Tozan Railway, the Hakone Ropeway, and the Sightseeing Cruise are also recommended to discover more of Hakone’s hidden natural gems, and these are all covered by your Hakone Free Pass. Next stop is Kyoto, which is about a two-hour Shinkansen ride from Odawara Station. For a few days’ stay in Kyoto, treat yourselves with another luxury hotel experience, this time at the Ritz-Carlton (http://www.ritzcarlton.com/en/hotels/japan/kyoto). Located in the downtown area, this five-star hotel offers Western and Japanese style rooms, with premium facilities and amenities, and easy access to the city’s must-see attractions. A two-person suite costs between 53,000 yen and 75,000 yen. The Arashiyama district has plenty of attractions to keep you busy for a day. Located in the outskirts of western Kyoto, it is home to old houses and buildings, ancient shrines and temples, and fantastic views of the river and the mountains. Arashiyama Bamboo Grove – The Arashiyama Bamboo Grove is a great place to take some beautiful, romantic photos. However, you need to be there early in the morning to avoid the crowds. Sagano Romantic Train – The Sagano Romantic Train is a seven-kilometre train ride from Arashiyama to Kameoka, along the Hozu River. It runs at about 25 kilometres per hour, so you can comfortably take in all the amazing scenery. While in Kyoto as newlyweds, you should definitely try the Kyoto Wedding Program. 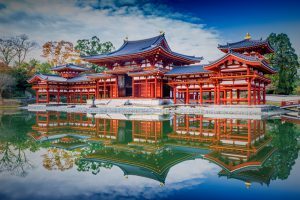 It offers couples on their honeymoon or celebrating their anniversary the opportunity to wear traditional Japanese groom and bridal costume, participate in a traditional ceremony, and learn about Japanese wedding customs and traditions. Cost is around 130,680 yen per couple. 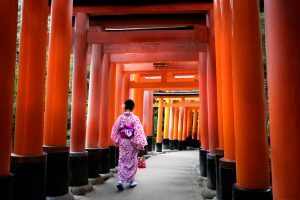 Fushimi Inari – One of the most important Shinto shrines in Kyoto, the Fushimi Inari Shrine is composed of thousands of torii that form a number of trails leading up to the peak of Mount Inari. If you start early in the morning, you can avoid the crowds and complete the climb up and down in about two hours.It is located a few minutes’ walk from JR Inari Station along the JR Nara Line. Higashiyama – With well-preserved wooden buildings, narrow lanes, traditional houses and shops, and ancient shrines and temples, Kyoto’s Higashiyama district is a great place for anyone looking to experience the traditional Kyoto lifestyle.From Kyoto Station, you can take a bus (number 100 or 206) or a train (Keihan Line, Hankyu Line, or Tozai Subway Line) to get to Higashiyama. Naoshima Island is home to many museums that showcase interesting and extraordinary sculptures, architecture and artworks. From Kyoto, take a Shinkansen to Okayama Station, transfer to the JR Seto-Ohashi Line to Chayamachi Station, and then take the JR Uno-Port Line to Uno Station. This part of the trip takes about two to three hours and is fully covered by the JR Pass. 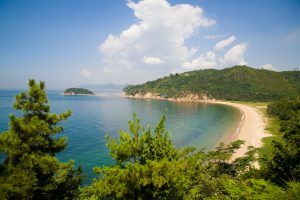 From Uno Station, take a ferry to Miyanoura Port, which is situated on the west coast of the island, and take a bus or rent a bike to get to your accommodation or destination. To get the most out of your stay on the island, try “minpaku”, a unique type of short-term accommodation option that offers you the chance to participate in different fishing or agricultural activities, depending on the line of work of your host. You might pick fruit or harvest vegetables on their farms, help whip up a traditional Japanese dish for dinner, or join fishermen on their fishing expeditions. Benesse House – This is a modern art museum and a resort hotel with overlooking views of the sea. Chichu Art Museum – Sitting on a hill, Chichu Art Museum features works by Claude Monet, Kames Turrel, Walter de Maria, and more. Art House Project – This area is composed of numerous abandoned buildings, homes and structures that have been transformed into art installations. Lee Ufan Museum – This museum contains works of Lee Ufan, a contemporary artist from Korea. Ando Museum – This is a museum designed by Japanese architect Ando Tadao and features his own artworks. To reach Takayama from Naoshima, take a ferry back to Uno in Okayama, and then get on the JR Uno-Port Line to Okayama Station. From Okayama Station, take a Shinkansen to Nagoya Station, and then transfer to the Ltd Exp (Wide View) Hida Line to Takayama Station. The entire train trip takes about six hours and is fully covered by the JR Pass. With a free shuttle bus service to and from JR Takayama Station, Hotel Associa (https://www.associa.com/english/tky/) is a highly recommended hotel for couples who want convenience and luxury while in Takayama. 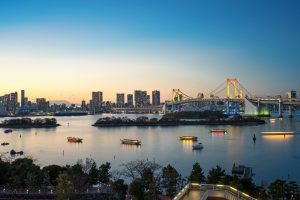 It offers both Western and Japanese style rooms, from 18,000 yen to 25,000 yen per night, with a wide array of high-end amenities and a restaurant bar that serves Western and Japanese dishes. Shirakawago is a UNESCO World Heritage Site known for its well-preserved gassho-zukuri houses. As it is only about a one-hour bus ride from Takayama, it is popular as a day trip. You can make bus reservations in advance on Japan Bus Online. Half a day in Shirakawago can be spent checking out the traditional gassho-zukuri farmhouses at the Gassho-zukuri Minkaen; the Shiroyama Viewpoint observation deck; and the Wada, Kanda and Nagase Houses, which are open to the public as museums. The town also has restaurants that offer traditional Japanese menus and gift shops for local products and crafts. 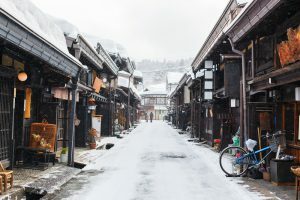 Takayama is quite a long way from Narita Airport, so start early to ensure you catch your flight. Board a Ltd Exp (Wide View) Hida train to Nagoya Station, leaving Takayama Station before 7 in the morning. Then, transfer to a Shinkansen going to Shinagawa Station. From there, you can take the Narita Express to Narita Airport. The whole trip takes about six hours and is fully covered by your JR Pass.